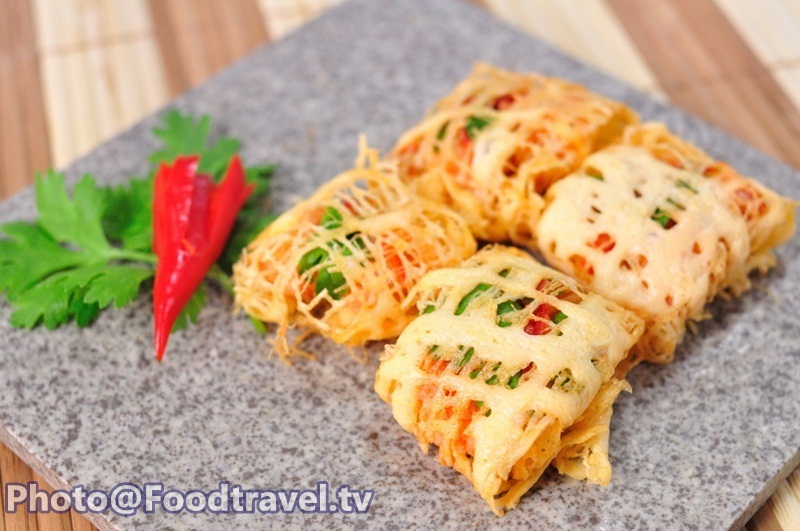 Omlette with Minced Shrimp (La Tiang) - La Tiang is a traditional Thai light dish in the Royal poems on various Thai dishes in the reign of King Rama II. 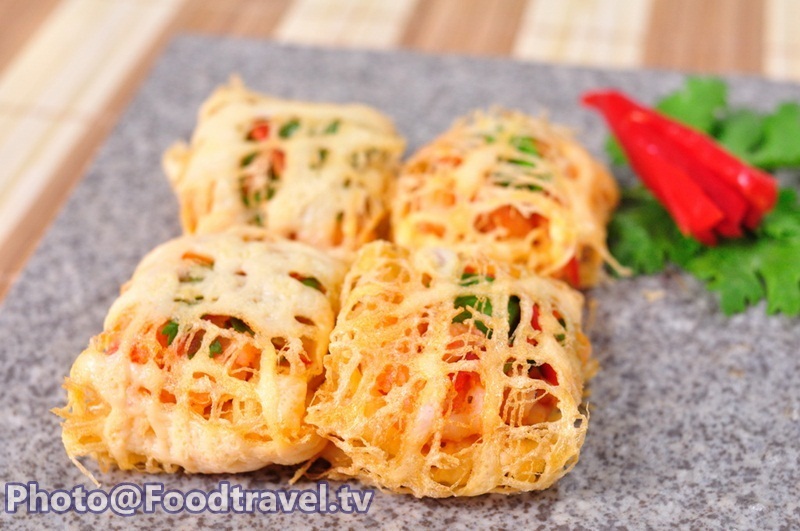 The fillings made of the meat and vegetables, wrapped with egg and serve into piece. 1. Fry head shrimp with oil in the pan. 2. Pour oil in a frying pan and heat. Fry coriander root, pepper, garlic. Then fry minced shrimp meat and fat shrimp until cooked. Season with salt and sugar. Set aside on the plate. 3. Duck eggs - break them up into a bowl, pour into a sieve to filter them.